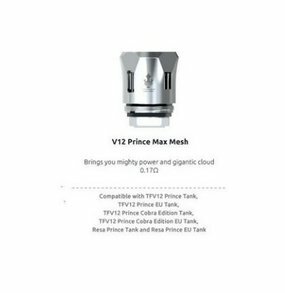 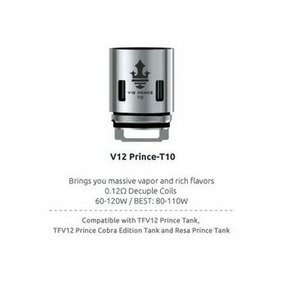 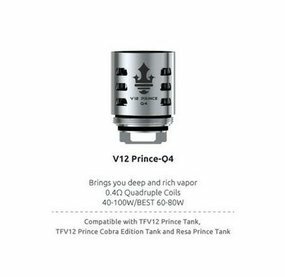 SMOK V12 Prince M4 Coils 0.17 Ohm | Electronic Cigarette Co. 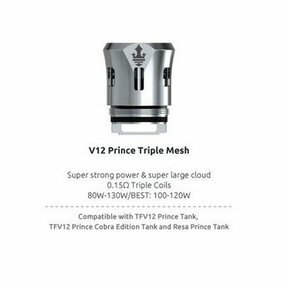 Pack of 3 genuine replacement SMOK V12 Prince M4 stainless steel quadruple coils 0.17Ω Ohm. 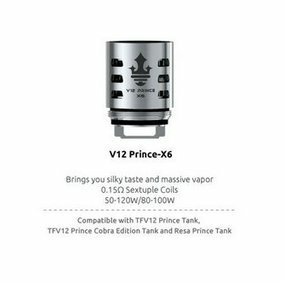 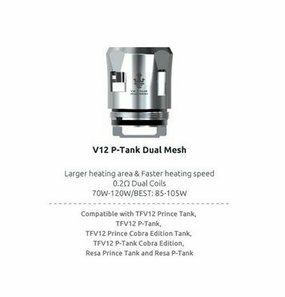 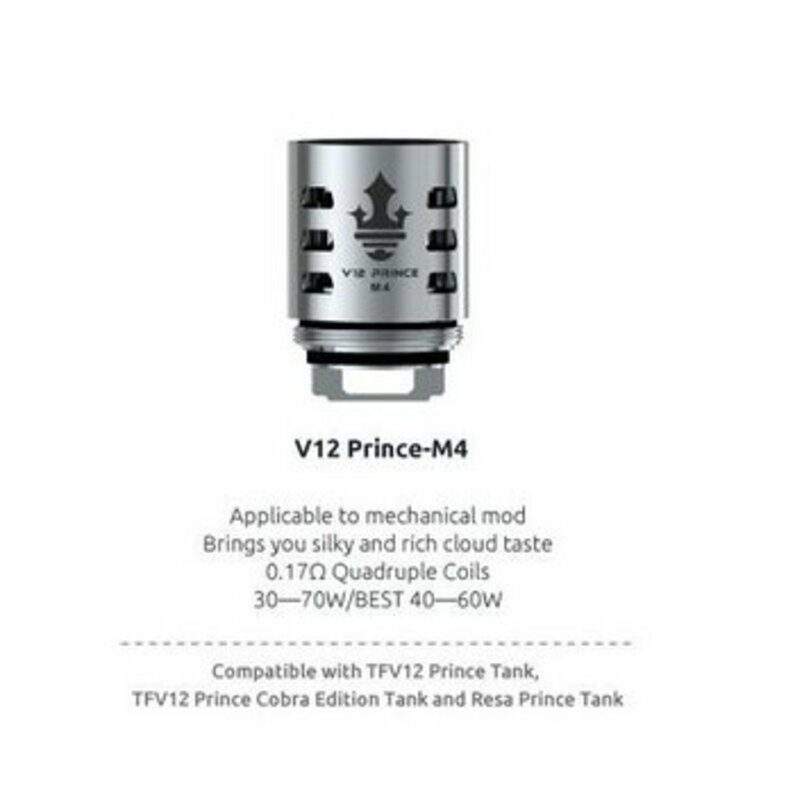 Compatibility: There's an increasing array of SMOK Prince coils available and although we've listed which coils are compatible with which tanks, be aware you may need a SMOK 'bulb glass' to accommodate some of these coils in your tank. 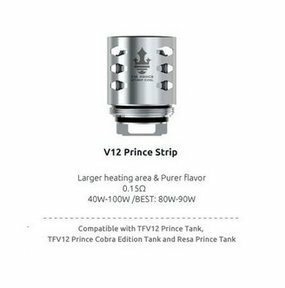 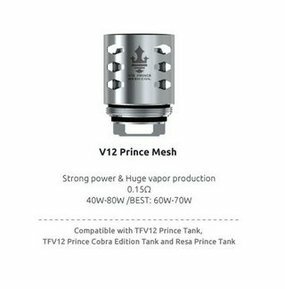 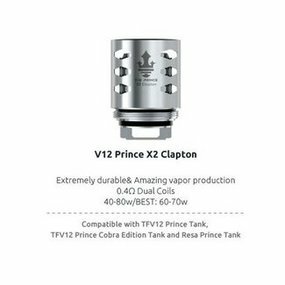 We don't stock them but for example, there's an 8ml Prince/Prince Cobra Edition bulb and a 7.5ml Resa Prince bulb glass. 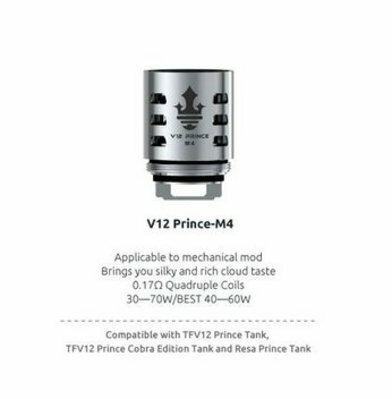 Wattage range 30-70W (best 40-60W). 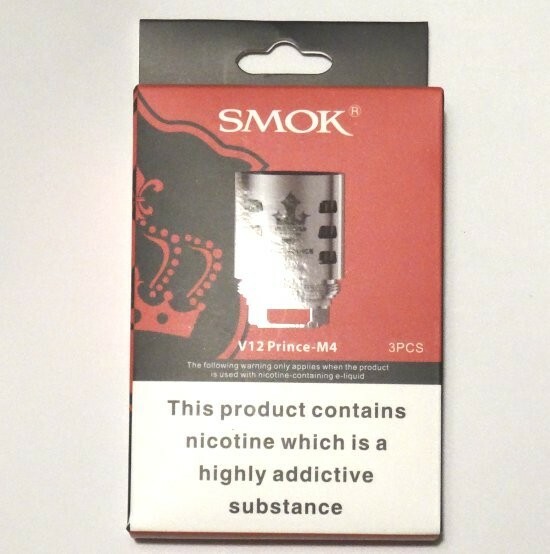 Pack of 3 SMOK V12 Prince M4 Coils 0.17 Ohm.